I am experimenting with making up a word or looking up a word each Wednesday and posting the definition. Today’s word is periwinkle which is not only a color, it is also a variety of gastropods or marine snails, often used as food in Europe. Enjoy! I have written and published over 2,000 pages worth of novels! It’s hard to believe I have written and published over 2,000 pages worth of novels, not including countless short stories, plays and scripts! It all started as a teenager, writing short stories when I was in high school. Now I am writing and publishing several novels each year. It is awesome! I am doing what I love and my readers all over the U.S. and Europe are loving it too! Happy Thanksgiving everyone! We overuse cliches and state the obvious these days! In a world that has so much new going on, why do we still use so many clichés and constantly state the obvious? Could it be that clichés are all we have left since our communication has been reduced to text speak? Children are not only our future, but our present! Working as a teacher I obviously come in contact with so many students and it is a privilige to teach them and even write novels for them, in addition to the novels I write for adults. Sometimes, the subject of life and death comes perilously to the forefront. Several times I have encountered students who have considered suicide. Many times I have encountered students who I did not know had considered suicide. Sometimes a word, a smile, some attention, is all a student needs to feel important, acknowledged, alive. Sometimes we succeed in this and in a small way help change a person’s mind to not take that drastic step and harm themselves in a deadly manner. And for this, it makes life worth while to know you’ve helped dissuade someone from suicide, given them a reason to live, hope, a future. But every once in a while, there is someone near you that you don’t realize they are considering this dangerous act and as a result, you can’t help them, don’t know they need help, and the person is lost. A student I knew was lost this weekend, took his own life, and I am filled with sorrow. My attention to everyone around me has heightened so that I don’t miss the signs of anyone else who might be considering this act. I hope I can continue to see the signs and help save, in some small way, the most precious of all gifts, life! 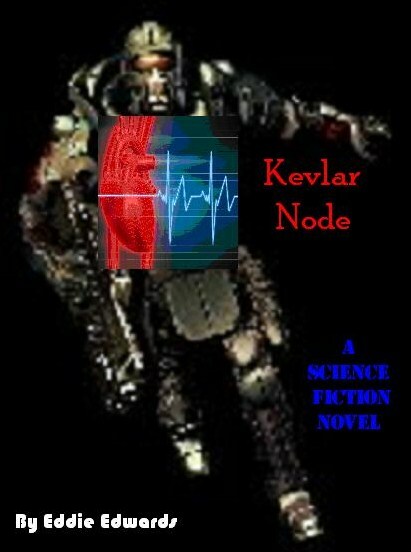 I am writing a new science fiction novel! I haven’t written science fiction for a while but the ideas on this one are just flowing out of me! I can’t wait to finish it and share it with my readers. Several of you have already expressed interest and anticipation of it’s completion so I will blog updates throughout the writing process right up until I publish it. To tempt you with the forthcoming work, here is a preliminary cover. Enjoy!